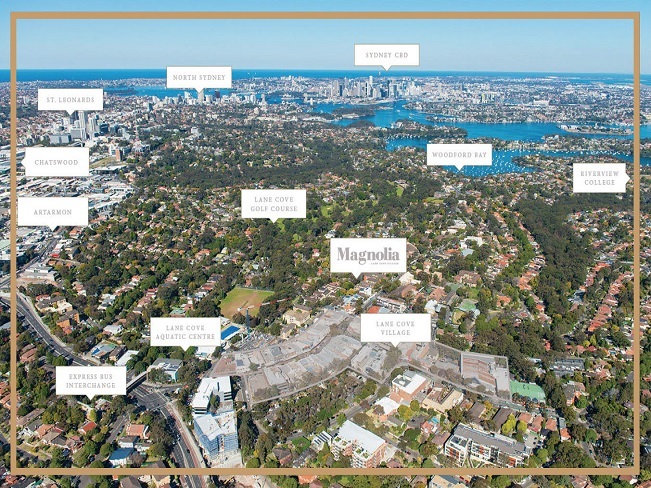 Located in Lane Cove which is one of the most desirable suburbs in Sydney with its close proximity to the CBD, harbour foreshore, national park, and plethora of restaurants and shopping options. 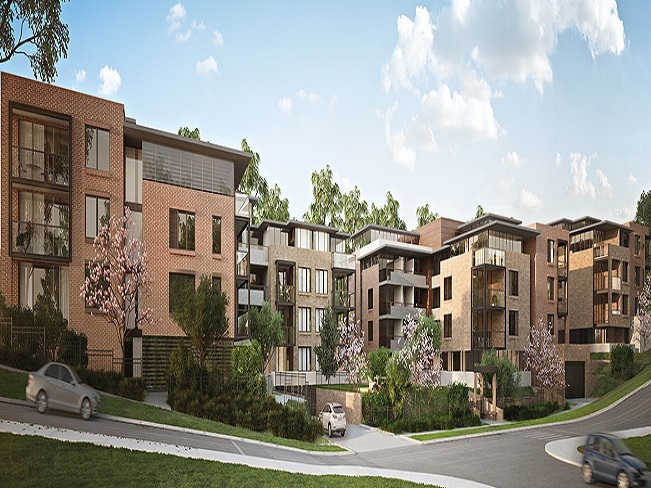 Set in a picturesque landscape, Magnolia offers a premium selection of one, two and three-bedroom residences. A harmonious and inviting street presence is created with beautiful landscaping, natural foliage and pathways leading into each block. Exterior architecture is refined and tasteful, uniting sandstone, brick and timber like finishes to create modern visual appeal. 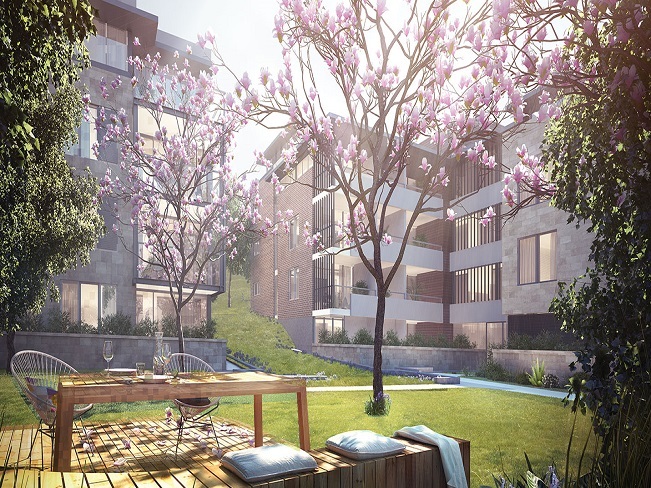 These residences celebrate their fresh, natural environment with gorgeous magnolia trees – a symbol of grace and enduring elegance. Here, residents can enjoy a glorious garden lifestyle. It’s easy to unwind in the extensively landscaped communal gardens. In these quality lifestyle apartments, you can enjoy every aspect of a truly enviable location – close to waterfront attractions, natural reserves, plentiful shopping, quality schools and a flourishing cafe culture. It’s the best of both worlds; with easy connections to the city, yet far enough away to relax and breathe in the fresh air, surrounded by natural bush land. Here in this quiet suburban setting, you feel a world away from the bustling city. However, all the attractions of Sydney CBD are conveniently close. It’s a 15-minute drive to the city and frequent buses depart from Lane Cove Bus Interchange, although many residents prefer to cycle to work. Everyday commuting is a beautiful journey with the ferry from Longueville Wharf to Darling Harbour carrying you past some of Sydney’s loveliest residential suburbs. This well-established suburb attracts a wonderful blend of newer and older residents, with young families bringing a fresh dynamic to the area. 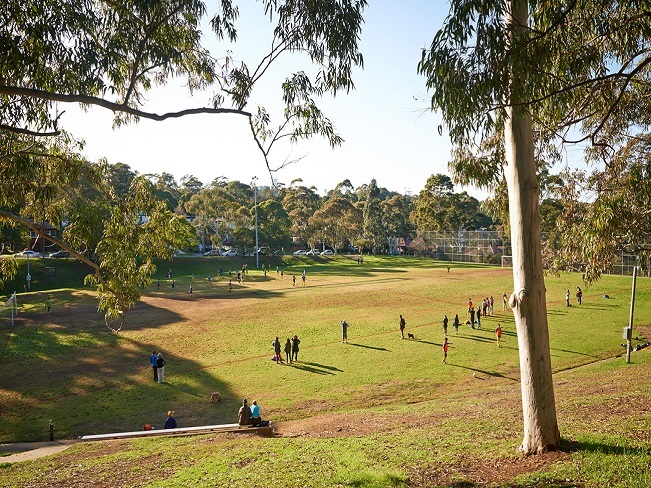 Parents and children enjoy abundant playgrounds and space to run around in Pottery Green Park, Longueville Park and Griffith Park. 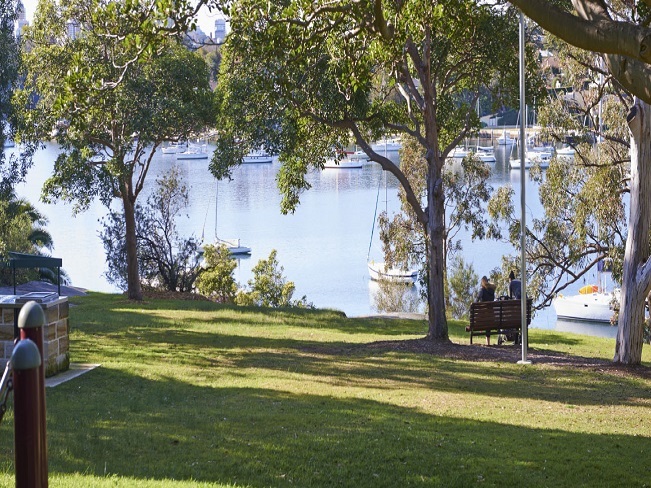 Quality local schools include Saint Ignatius’ College Riverview and Lane Cove Public School, as well as a variety of private and public schools in surrounding suburbs. Each welcoming residence is finished with impeccable attention to detail. 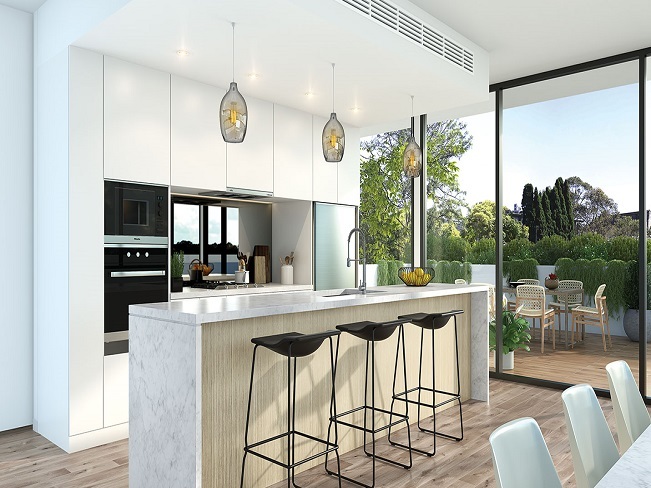 Flowing open-plan layouts offer abundant space to relax and entertain, with integrated living and dining areas. Interiors are sophisticated and modern, with engineered timber flooring and a neutral color palette accented by timber veneers and joinery. 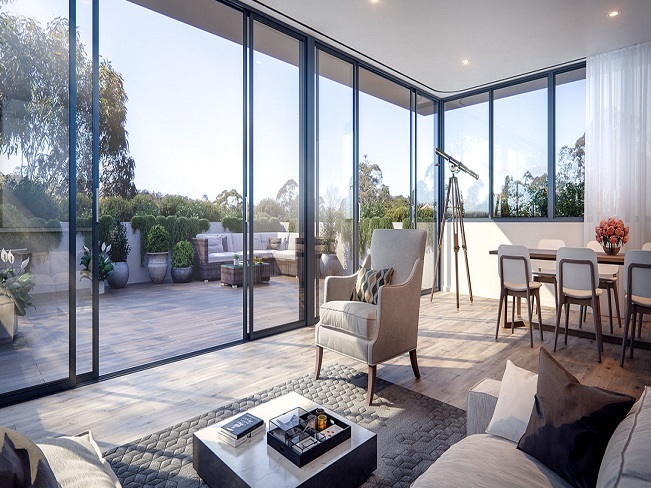 Penthouse level apartments feature generous living spaces and effortless indoor–outdoor flow, with expansive entertaining decks providing endless room to entertain. Elevated views stretch across the surrounding leafy district and full-height glazing fills interiors with natural sunlight. Bedrooms are comfortable and inviting, featuring a selection of large wardrobes and rich wool carpet for year-round comfort. The sleek kitchens include quality Miele appliances, gas cook tops, electric ovens, dishwashers and microwaves. Full-height cabinetry offers ample storage and LED lighting illuminates bench top work spaces. 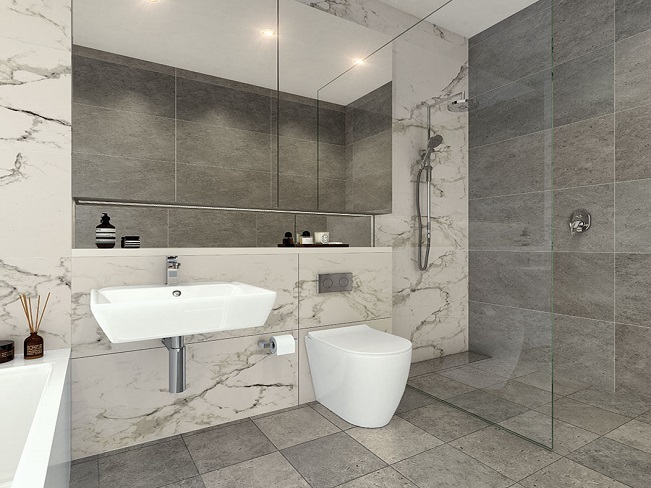 Contemporary bathrooms include frame-less shower screens and modern finishes.